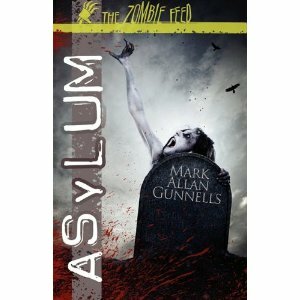 Apex Publications offers Asylum by Mark Allan Gunnells as part of its new zombie imprint. I haven't read the book and don't know the author, so I can comment on neither directly, but I do know Apex Publications and publisher Jason Sizemore and have a lot of respect for him and his publications. Also, I am delighted any time that I see gay content in the zombie subgenre, which is sometimes rather conservative despite its outré premise (odd also considering that the whole thing derives from a film franchise created by Romero, a lefty). So, sight unseen, I will point people who are into zombie fic toward this novella. That Jason published it is sufficient recommendation as far as I am concerned. Living Dead--except with more gore and a more current social message. I really appreciate the signal boost!